Organiser : Conference Series Ltd.
Its our pleasure to welcome you as a Speaker at the 3rd Annual Conference and Expo on Biomaterials. 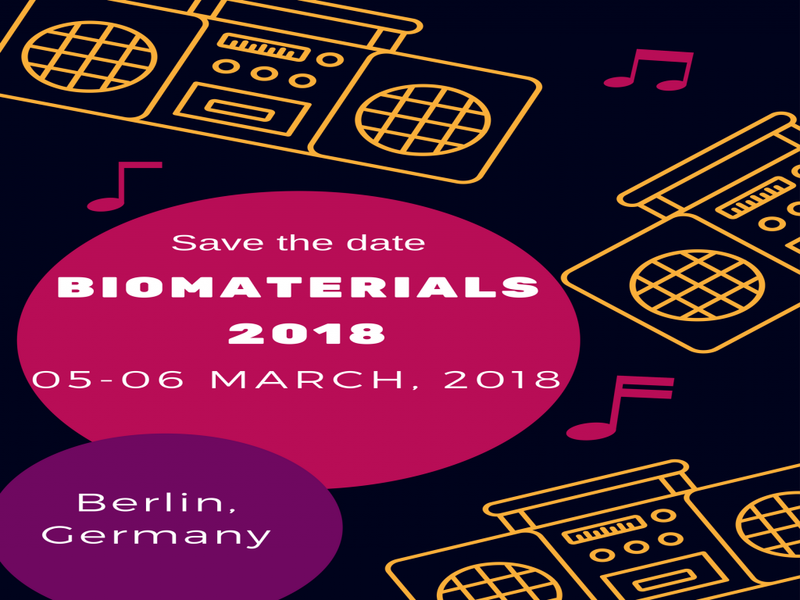 Biomaterials 2018 conference will be hosted in the beautiful city of Berlin, Germany during March 05-06, 2018. We would be pleased to meet your presence at the conference proceedings. The main theme of the conference is “An Initiative to make Materials Live”. Biomaterials 2018 will lay a platform for the interaction between experts around the world and aims to accelerate scientific discoveries and major milestones in the field of Materials Science, Nano Technology, Tissue Engineering, Stem cells, Regenerative medicine, Biophotonics, Dental Materials.